Company believe in the customer requirement in genuine amount deal .Believe in words nd commitments.Also working in different real estates residential projects in delhi nd NCR areas .Also deal in various farm houses land .Speciality in all type of collaborations of residential and commercial buildings. Sector 51 is a well developed residential sector with kothis and bunglows. Connectivity is good all round. Temple, school and nursing homes are very close. Shopping malls and market are just 5 minutes drive. 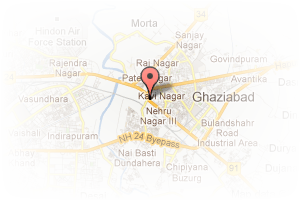 Kirti Nagar is the top locality of New Delhi with all residential and commercial centers. All basic amenities are available here. Good road connectivity, metro, buses, taxi, auto run here. Sector 64 is a very good built up sector in Noida with many big firms and corporate offices. It is well connected by road, bus stand, railway station, and has guarded gates. Buildings are made according to the norms of the Noida authority. Development as per authority terms and conditions. Big firms and corporate offices are here. Address: LIVE, Indirapuram, Ghaziabad, Uttar Pradesh, India. This Broker Profile page for "Empire Associates" has been created by PropertyWala.com. 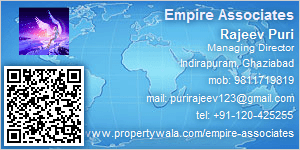 "Empire Associates" is not endorsed by or affiliated with PropertyWala.com. For questions regarding Broker Profiles on PropertyWala.com please contact us.